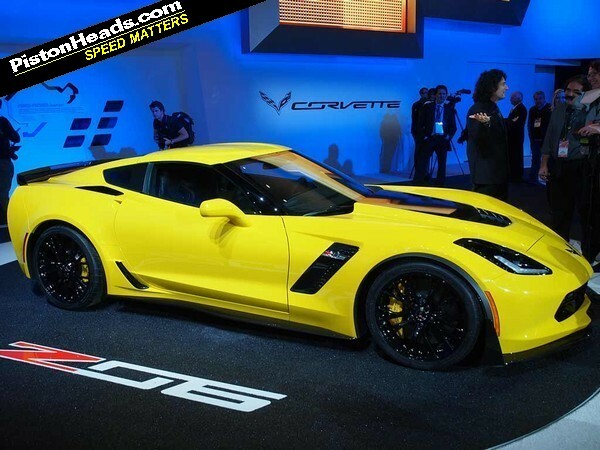 We'll have a UK drive of the new Corvette Stingray later this week, so the official launch of the C7 Z06 is now a car of even greater interest. 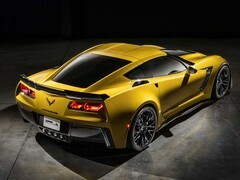 The good news is that the leaked stats from last week were mostly accurate; Chevrolet has today confirmed the Z06 will have in excess of 625hp and 635lb ft from an LT4 supercharged 6.2-litre V8. It uses the same direct injection and cylinder deactivation tech of the Stingray, and is just 25mm taller than the atmospheric engine despite the addition of the Eaton 'charger. To facilitate the higher outputs and fairly high 10.0:1 compression ratio, the LT4 gets the sort of fancy internals we love to read about: aluminium (or aloominum) heads, titanium intake valves and conrods as well as forged aluminium pistons. The engine is dry-sumped too. Moreover it will be offered with two transmission options. The manual is the seven-speed rev-matching unit from the standard Stingray, the auto a conventional torque converter with eight speeds. The '8L90' an entirely new GM-designed unit with a fastest shift speed of 'eight-hundredths of a second quicker than those of the dual-clutch transmission in the Porsche 911'. 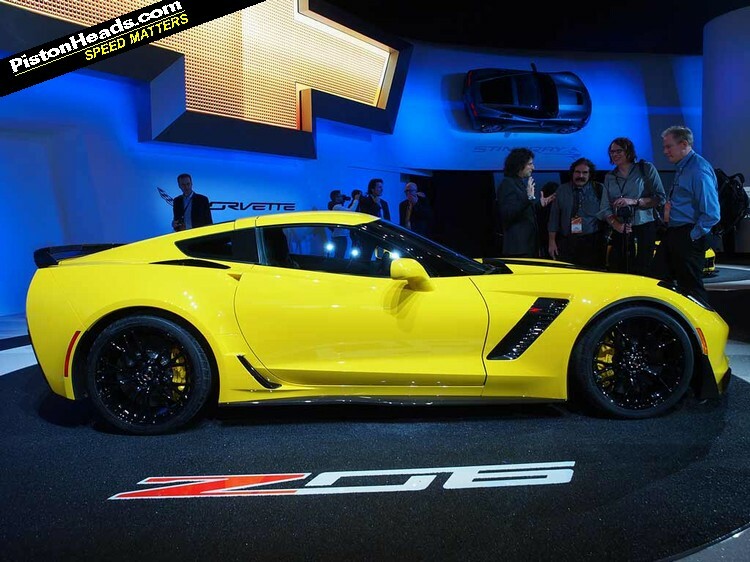 Pitched as the most circuit capable Corvette ever, the Z06 apparently comes with 'world class' braking, grip and downforce. 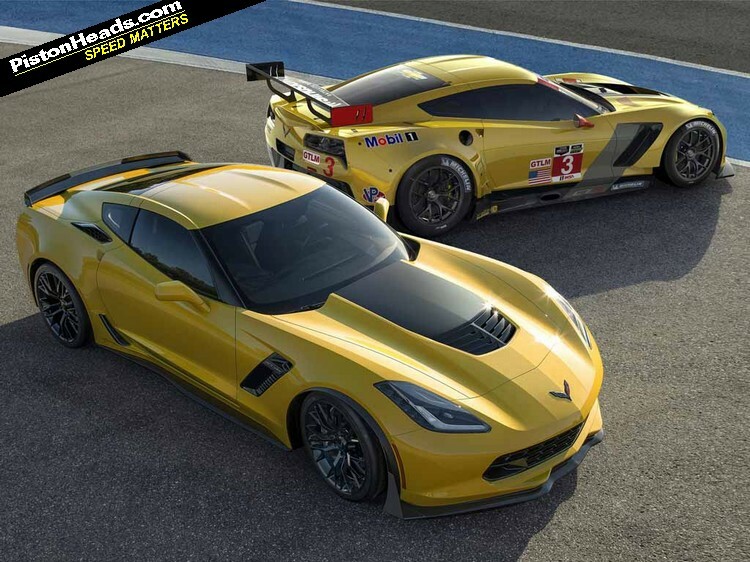 The Michelin Pilot Sport Cup 2 tyres shown in the teaser image will be a part of a Z07 Performance Pack that includes Brembo carbon ceramics (394mm at the front, 388mm at the rear) as well. 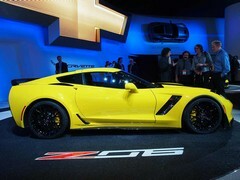 Regardless of the compound, the tyres are a massive 285/30ZR19 at the front and 335/25ZR20s at the back. The fenders (sorry, wings) are swollen by 56mm at the front and 80mm at the rear to accommodate that gigantic rubber. 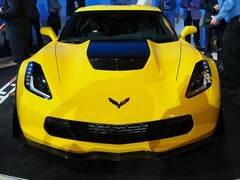 They also give the Z06 a properly menacing stance. Then there are the aero tweaks. 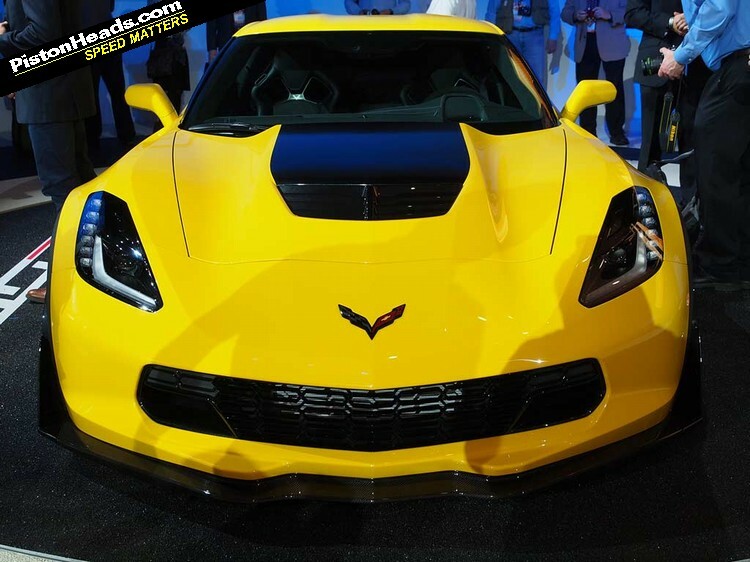 As standard, the Z06 gets a unique front splitter, spats around the front wheelarches and the rear wing from a Stingray Z51 package. 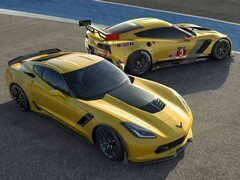 The aforementioned Z07 pack (still with us?) adds winglets to the front splitter plus an adjustable rear spoiler. See also the revised intakes for the brakes and engine. 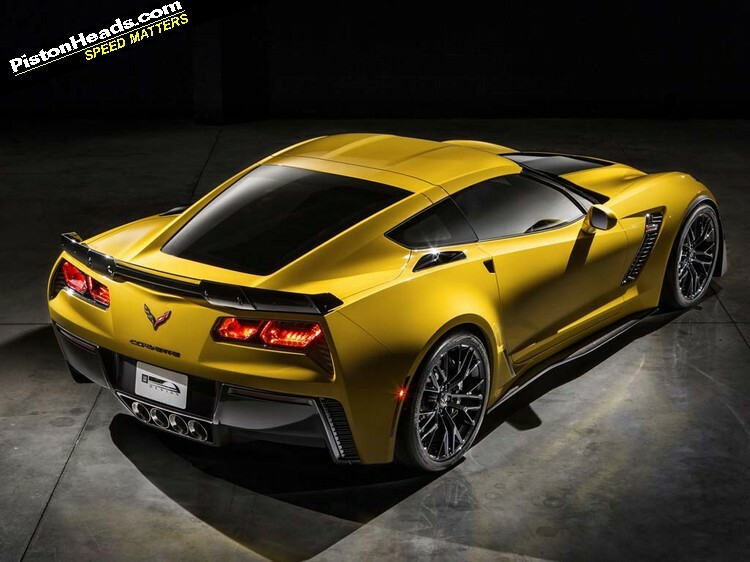 Unsurprisingly given that power figure and the associated upgrades, Chevrolet already claims the Big Nasty is faster round its Milford Road test track than the C6 ZR1. One can only imagine the levels of absurdity that car's replacement will reach. 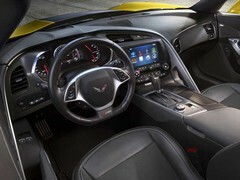 On the standard equipment list are the Stingray's magnetic dampers, Driver Mode Selector and the electronic LSD found in the Z51 pack. 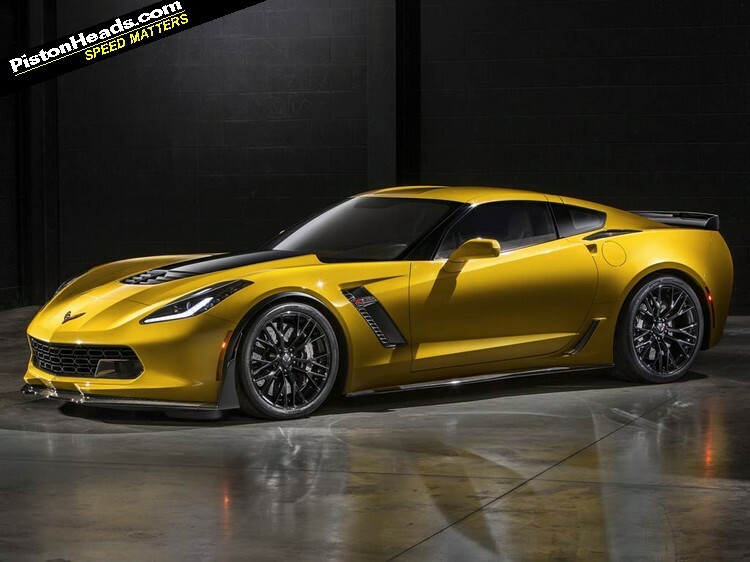 On the spec and looks, the Z06 just screams hi-po thrills with some real track prowess too. We want one. This makes it all the more disappointing that nobody will drive one for quite a while; production doesn't start until late 2014. Absolutely Stunning!!!!! My favorite looking and sepcification of any car at the show so far I think. and for those that dont want to change gear manually..... a gearbox option to match the best of the European rivals (on paper at least). 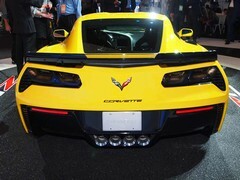 This is the first "modern" corvette i REALLY want. Styling is bang on and the interior is up there now, sure it would excite my pork sword. It's such a goodlooking car at a really decent price. 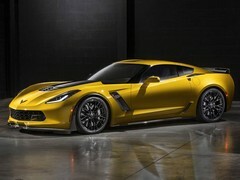 Just why won't American manufacturers make their sports cars RHD as well; they'd sell so many of them. Its the only thing that puts me off, otherwise perfect.